Venice will slough off the winter gloom and burst into life. 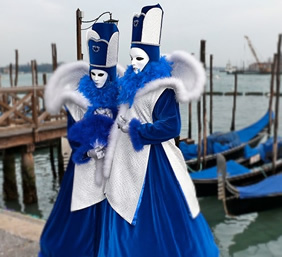 During the Carnival (Carnevale), this most magical of cities fills with a mass of masked party-goers - posing and preening, dancing and philandering, in a slightly surreal re-invention of a great tradition of the city. St Mark’s Square is the fulcrum of Carnival activities, and that’s where you’ll find the most extraordinary costumes - many hoping for a chance in the best costume competition, some aiming to be photographed, and others just enjoying themselves. 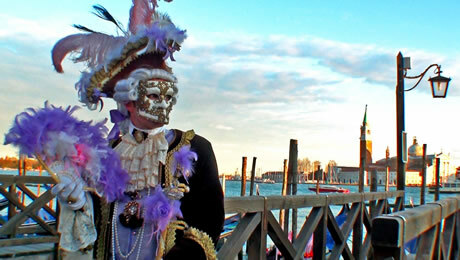 You’ll find bemasked odalisques posing in any scenic spot of which, of course, there’s no shortage in Venice. • Start your short walking tour of Venice following the route of one of the most important German writer, Thomas Mann, and its romance and masterpiece “Death in Venice”, a story of passion and love beetween the writer Gustav von Aschenbach and Tadzio, a charming boy. • Continue to Hotel Des Bains, famous place where Thomas Mann met his young Polish love. • In your LGBT tour you won't miss admiring the Golden Basilique of San Mark, built over several centuries in a fusion of Byzantine, Roman and Venetian architecture, the Doge's Palace (from the outside), the famous Canal Grande and Rialto Bridge, and finally the Sospiri Bridge, created at the beginning of the 17th century to serve as a link between prisons. 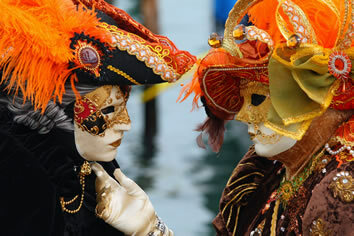 • Discover the oldest and the most internationally known festival celebrated in Italy. This congregation of masked people began in the 15th century, but the tradition can be traced back to the beginning of the 14th Century. 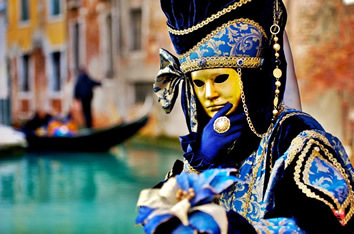 During those years one of the first laws made by the Serenissima was that masks cannot be used around the city at night. 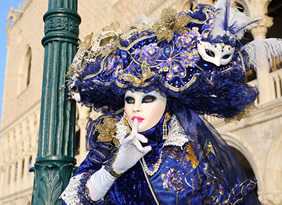 Later, Venice Carnival attracted foreigners - including princes - from all over Europe, who came to enjoy the wild festivities while spending fortunes. The streets of Venice Carnival were full of people in masks, and no differentiation could be made between nobility and the common people. • The cruise will include a welcome drink, buffet dinner while sailing to the islands of Murano, Burano, Torcello and toast in front of the wonderful St Mark’s Square. 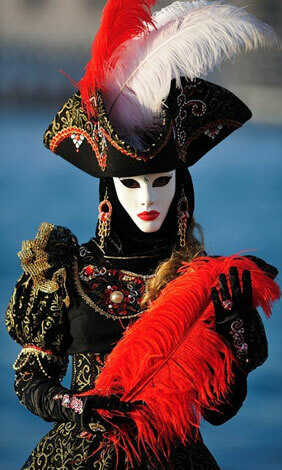 • Midnight approximately: guests landing in Venice (at the same port of departure, near the Naval Museum) *Wearing a mask is appreciated.